Their creator is a mysterious Good Samaritan who has not signed the notes or taken credit. 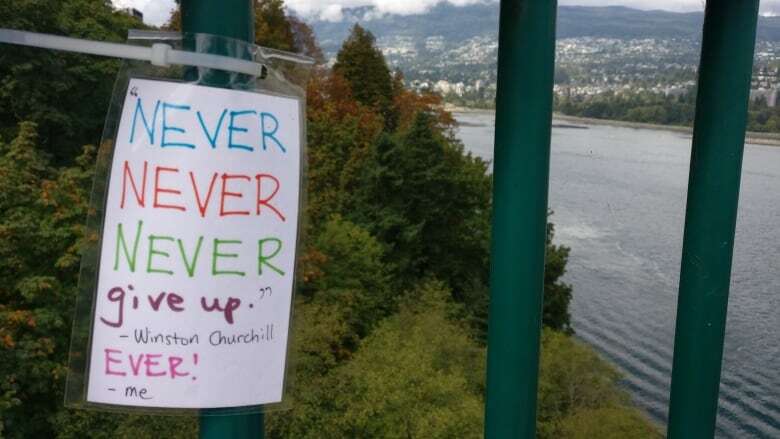 "It's really, really, incredibly touching that someone has decided to make this effort," said Liz Robbins, the distress services co-director of operations at the B.C. Crisis Centre. She said the crisis centre receives at least one call a month from someone in distress on the bridge and several more from people saying they are thinking about going to the bridge. 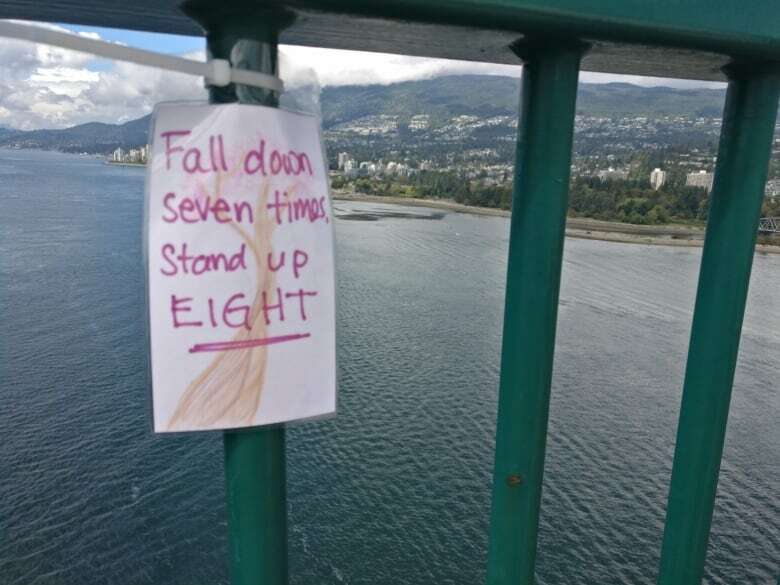 Robbins said people contemplating suicide oftentimes feel very alone and disconnected from community, even when surrounded by other people, and messages of support like these can have an impact. 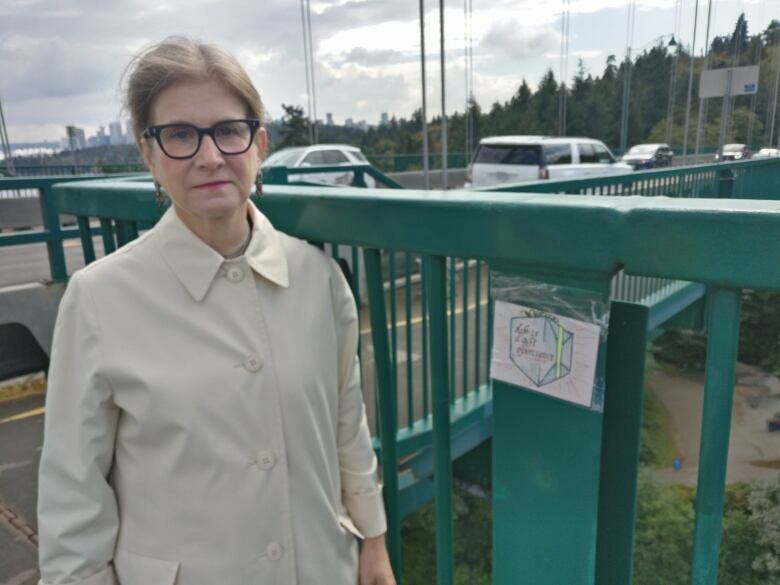 "I can't help but think it would touch that person and make them think twice … to walk off the bridge and look to get some help," she told CBC's Jason D'Souza. 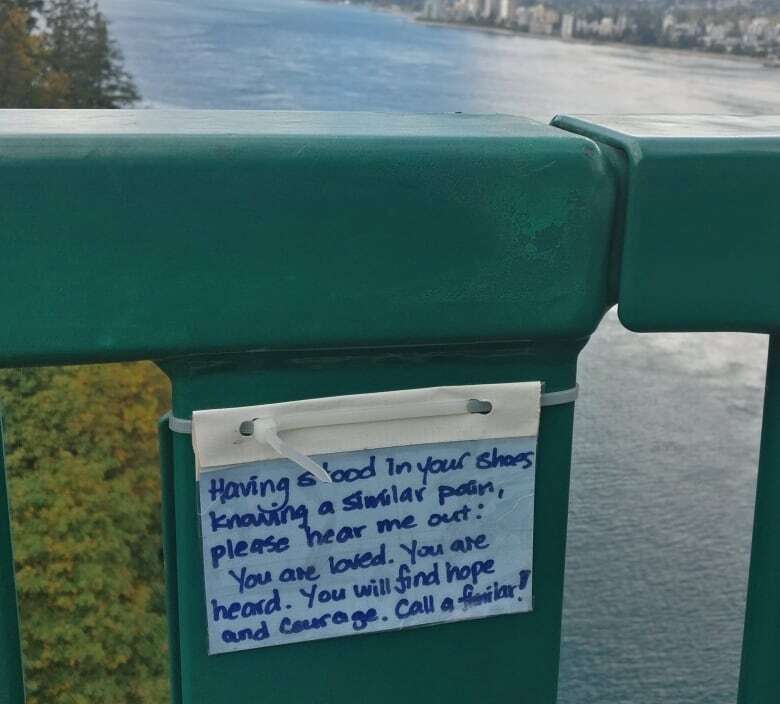 She says the messages in some of the notes — things like 'If you are ever wondering if someone has been in your shoes, I have been in your shoes" — offer a sign of hope. "There is a sense that [the creator] has in fact had thoughts of suicide … and something has shifted for them, and they want to bring that sense of hope to someone else," Robbins said. "To have somebody write a note like this lets [the reader] know that tomorrow can be another day and that things really do change." She doesn't know who is behind the notes but says the message is aligned with what the crisis centre strives for. "We really try to help create that sense of care and connection," she said. "There are ways to move away from that crisis." If you or someone you know is experiencing suicidal thoughts or depression, you can find 24-hour help at 310-6789 and 1-800-SUICIDE.